Schlock Corridor: THE LAST MAN ON EARTH (1964) | Birth.Movies.Death. Vincent Price gives a historically great performance in the chilling first adaptation of Richard Matheson's I AM LEGEND. Zombies! The record-smashing season finale of The Walking Dead affirms that they’re at the pinnacle of their popularity. What’s interesting about The Walking Dead is that the show’s zombies are shamblers, just like George Romero’s original ghouls in Night of the Living Dead. Romero always said that he got his ideas from Richard Matheson’s novel I Am Legend, but looking at Night it seems like the first film adaptation of that book, The Last Man on Earth*, was the real influence. Matheson’s novel was groundbreaking in a lot of ways; for modern readers it’s notable as one of the first books to treat something like vampirism scientifically, approaching it as a virus. It’s also a book that sets the template for all kinds of post-apocalyptic fiction, sketching a desolate and empty world. But the creatures in the book are vampires, and they have speed and strength - much more along the lines of the much-maligned fast zombies of the post 28 Days Later cinema. The first adaptation of Matheson’s book was an Italian co-production, and shot in Italy. 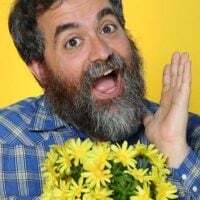 Matheson himself co-wrote the script for The Last Man On Earth but was unhappy with the final version of the movie, so he had his name replaced with Logan Swanson, a combination of his wife’s maiden name and his mother’s maiden name. The vampires of the movie are very different from the ones in the book. They’re slow, almost in a stupor. They shuffle and use rudimentary weapons at best. Many of them are in suits, possibly burial outfits. They’re very much the precursors to the masses outside the farm house in Night of the Living Dead. Should the Cemetery Zombie show up in The Last Man on Earth nobody would blink an eye. Vincent Price plays the titular last man; he believes a long-ago bat bite has innoculated him against the airborne virus that first tore through Europe and then destroyed the United States. He has lived alone for three years, holed up in his house, sharpening stakes for daylight raids on vampire nests. His home is protected with garlic bulbs and mirrors (which frighten the monsters) and simple boards on the windows. Every day he tries a radio, hoping to hear another human voice. The black and white film is very solemn, and the opening scenes, which show Price going through his daily routine, are striking. Price does a voice over, but there’s a stark emptiness to everything, a tone of real seriousness. The streets are empty except for litter and occasional corpses - vampires who got stuck out in the sunlight. He picks up the dead and brings them to a huge pit, where a massive fire burns. He stocks up on gas and supplies and then goes through buildings, staking sleeping vamps. As the sun goes down he returns home; when dusk arrives a horde of vamps assemble outside of his house with their leader calling them out by name. With the horde outside, banging on his door and window, Price’s Dr. Robert Morgan reacts in the most badass way possible: he puts some jazz records on the hifi and hits the liquor cabinet before falling asleep on the couch. It’s an incredible moment - probably the best in the film - that totally encapsulates how comfortable this guy has gotten living in this nightmare world. The film flashes back to Morgan’s life before the plague. He was a scientist with a wife and a daughter; while the plague had begun hitting Europe he didn’t believe it would cross the Atlantic. But it does, and when it gets to America it spreads quickly. Soon Army vehicles are in the streets, picking up the dead and dying and throwing them into the fire pit. The lab empties out as everyone dies or disappears. We realize that the head vamp outside of Morgan’s house is actually his best friend and co-worker. And then we see how his daughter succumbs to the virus, and then his wife. Morgan can’t bear to have his wife burned, so he buries her outside of town. But that night she returns, a truly hideous ghoul at his door. He’s forced to kill her. The Last Man On Earth is almost fifty years old, but this is still one of the most chilling scenes in any horror movie. The film loses some momentum after the flashback; while a scene where Morgan befriends a dog only to have it vamp out on him mostly works (and which, by the way, establishes the zombie genre formula of being bitten and getting the disease), the film kind of staggers to the finish line. Which isn’t that different from Matheson’s novel, honestly. While out doing his daily rounds Morgan runs into a woman walking out in the daylight. Her name is Ruth and Morgan assumes she must be another survivor, but it turns out she’s just the next evolutionary stage of the vampires. They’re changing, able to come out into the sunlight and are much more capable. And they know who Morgan is - it turns out he’s not just been killing brutal vamps, he’s been offing their kind as well. They want to rebuild society, but first they want to take out the guy who has been slaughtering them nightly. Part of what doesn’t work here is that the flashback introduces too many people, losing the feeling of solitude the first act of the film had. When Morgan meets Ruth we’ve spent fifteen minutes watching flashback Vincent Price interacting with other people. The impact of him finally meeting another person is lessened. This is also when the movie takes the biggest swerve away from the book. In the movie Price blood-rapes Ruth, shooting her up with his blood, which cures her of vampirism; no such thing happens in the book. The finale in the movie is also much more action-packed than the book, with gun-wielding vamps chasing a tear gas tossing Price to his wife’s mausoleum. Where the book ends with the lead (called Neville, not Morgan) executed via poison, like Socrates, the movie has Vincent Price shot and then run through with a spike. And where Neville sort of comes to understand why the vampires hate him, Morgan dies telling the mutated vamps that they’re the freaks and he’s the last real human. Matheson felt that Price was miscast, and on some level he is. It’s hard to look at Vincent Price in a movie like this and not be waiting for the maniacal moment. But the man was a better actor than his pigeon-holed career often leads us to believe, and he maintains a truly moving sense of melancholy throughout. Once you get past the popular image of Price you can see that Robert Morgan is his best performance, filled with nuance and gravity. This is Price playing it down, and doing it masterfully. 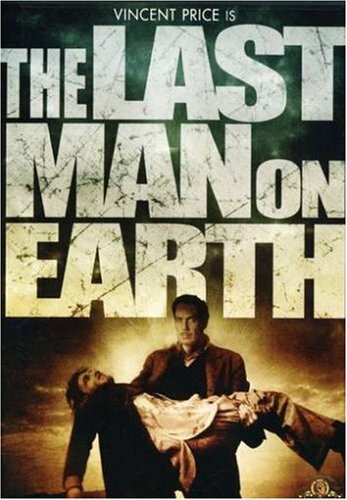 The Last Man On Earth is only the first adaptation of I Am Legend; The Omega Man and Will Smith’s I Am Legend followed. It’s the best of the three, though (although all three are pretty radically different), and it’s heavy tone is surprising. This is a cheapie film destined for the drive-in circuit, but directors Ubaldo Ragona and Sidney Salkow approach the material with gravitas and compassion. The black and white photography is often gorgeous, and the fact that it’s Rome passing for America actually lends a haunting sense of surreality to the empty streets of the city. The film's poster has a big gothic haunted house, which never actually appears in the movie. The advertising is obviously trying to convince people that this film is in the vein of Price's Edgar Allen Poe films with Roger Corman. What it really is is something much more modern, which perhaps explains why it didn't do so well on initial release. The Last Man On Earth is the seed that grew into the entire zombie genre. * Trivia side note: The Last Man On Earth wasn’t the first film to have that title. There’s a 1924 silent movie of the same name in which all the men in the world die off, very much like the modern comic book series Y: The Last Man.